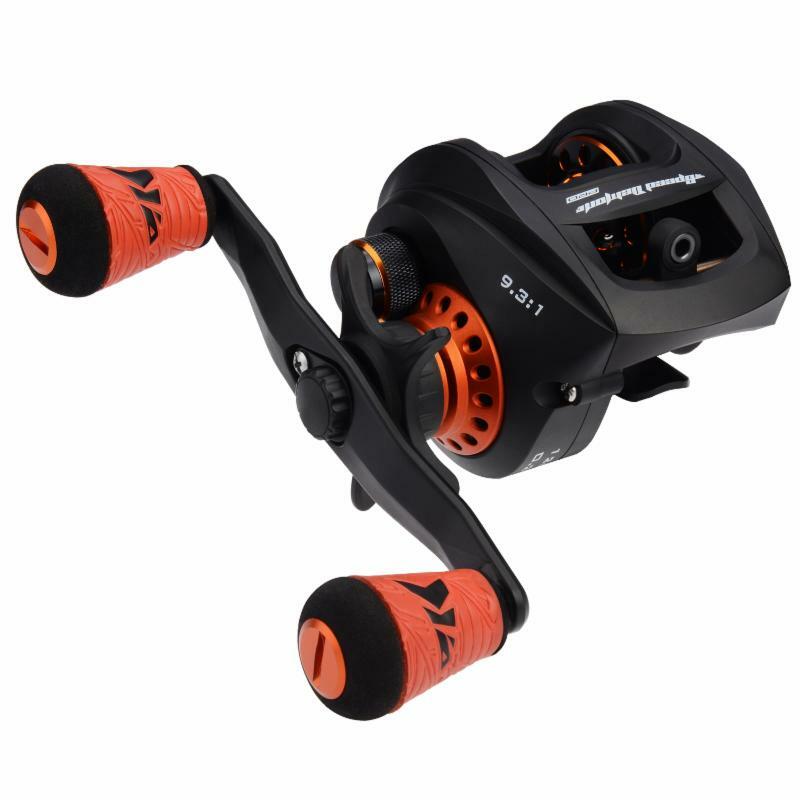 KastKing will unveil their latest fishing reel this week at the ICAST 2018 show with the Speed Demon Pro Level Baitcasting reel. 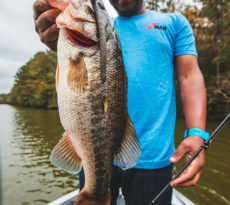 KastKing has added numerous upgrades and significant engineering developments to the KastKing Speed Demon 9.3:1 gear ratio baitcaster to meet the needs of tournament and serious recreational anglers. FOR IMMEDIATE RELEASE – KastKing (www.kastking.com announces this week the much anticipated release of the pro tournament version of the KastKing Speed Demon baitcasting reel will take place in the wake of ICAST in Orlando Florida. 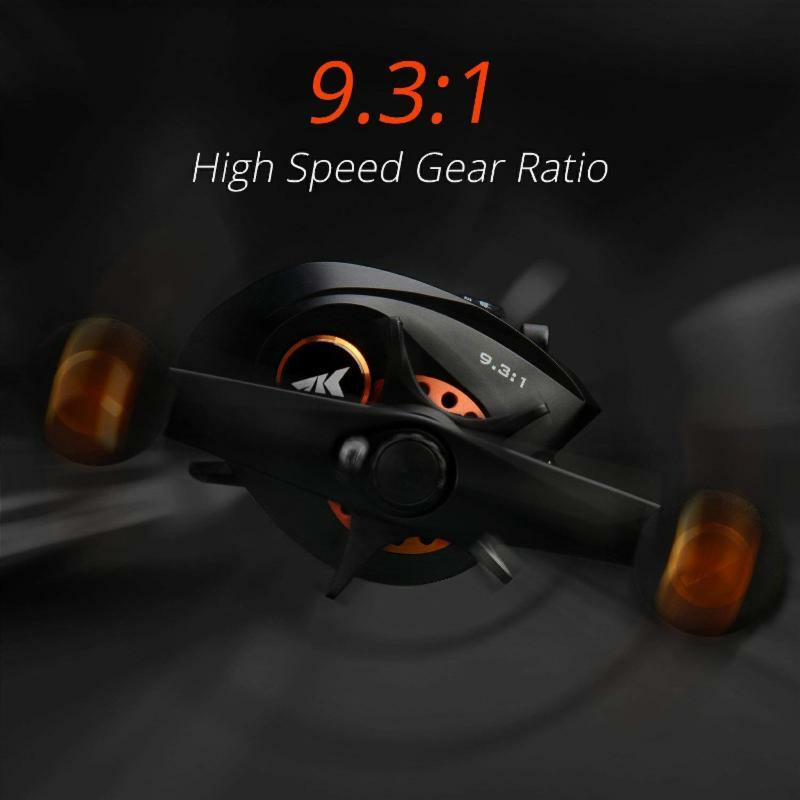 Anglers will be able to have the same high-speed 9.3:1 gear ratio that they have enjoyed with the initial Speed Demon, which will stay in the lineup, but with many advanced features and much less weight. Speed Demon Pro includes upgrades of a carbon infused nylon frame, side plates, star wheel, and handle, reduced weight, yet stronger manganese brass gears, and a T7075 hardened aluminum main gear shaft, all in the interest of weight reduction. 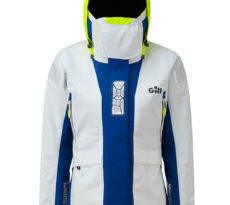 The changes were effective and reduced the Speed Demon Pro to 6.5 ounces as compared to 8.3 ounces for the original model; a reduction of almost 22%. Other engineering changes for the Speed Demon Pro are double shielded stainless steel ball bearings for a total of 12 ball bearings along with one instant anti-reverse roller bearing. 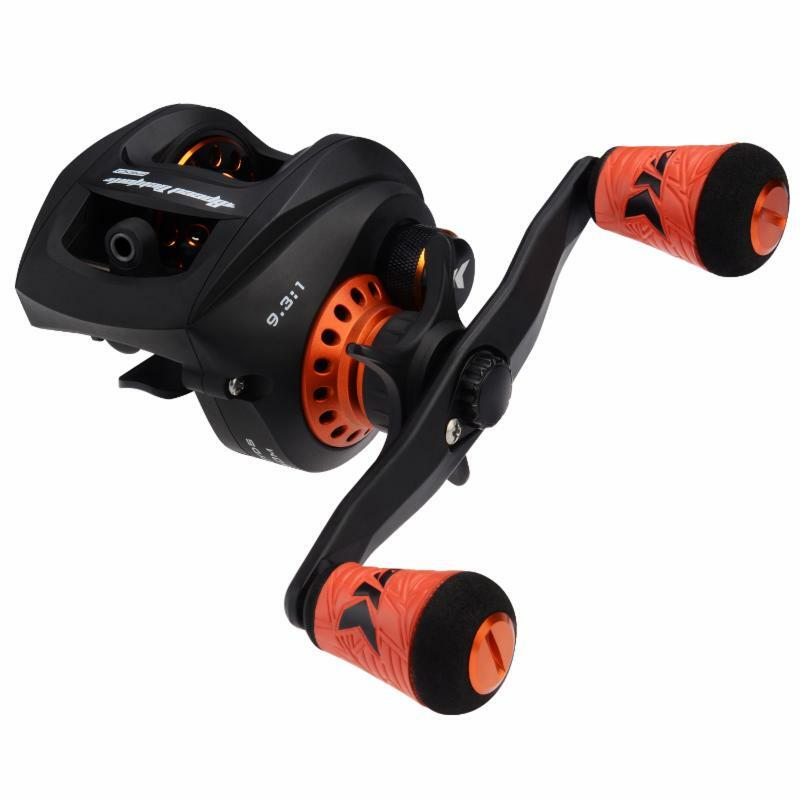 Japanese NMB double shielded stainless steel ball bearings are used on both sides of spool,These bearing improvements and the corrosion proof frame and components make the KastKing Speed Demon Pro model saltwater ready. KastKing has increased the magnetic braking performance on the Pro model by increases the trilateral magnets from six to nine allowing for infinite adjustments that virtually eliminate back lashes. The main shaft was converted to a two piece high speed split version for increased casting distance and noise reduction. 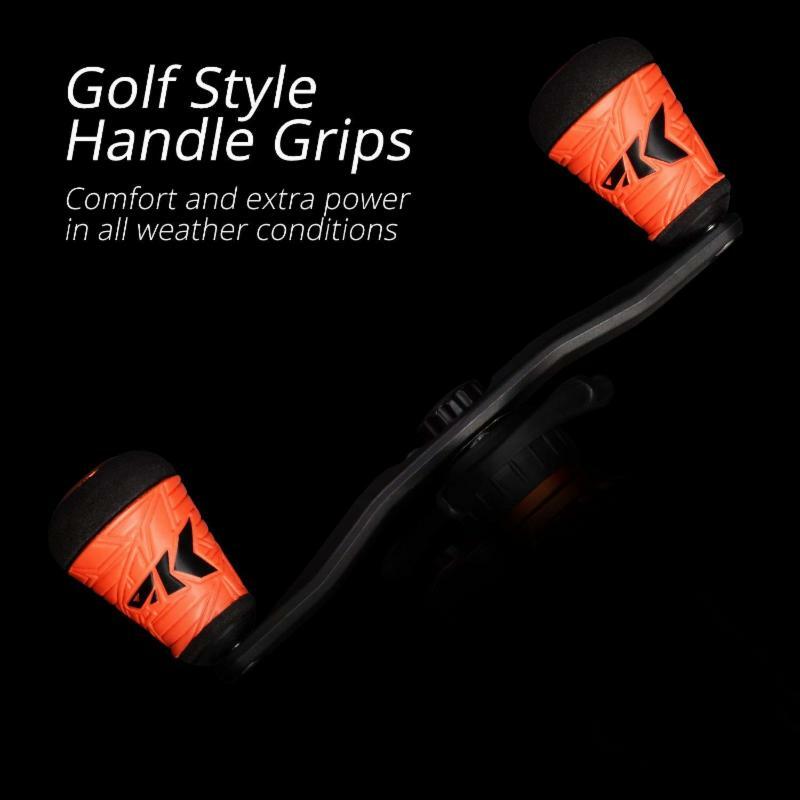 For consistent, sure grip in tournament fishing use and wet conditions KastKing Super Polymer Grips with the iconic KastKing shark head logo have been added. 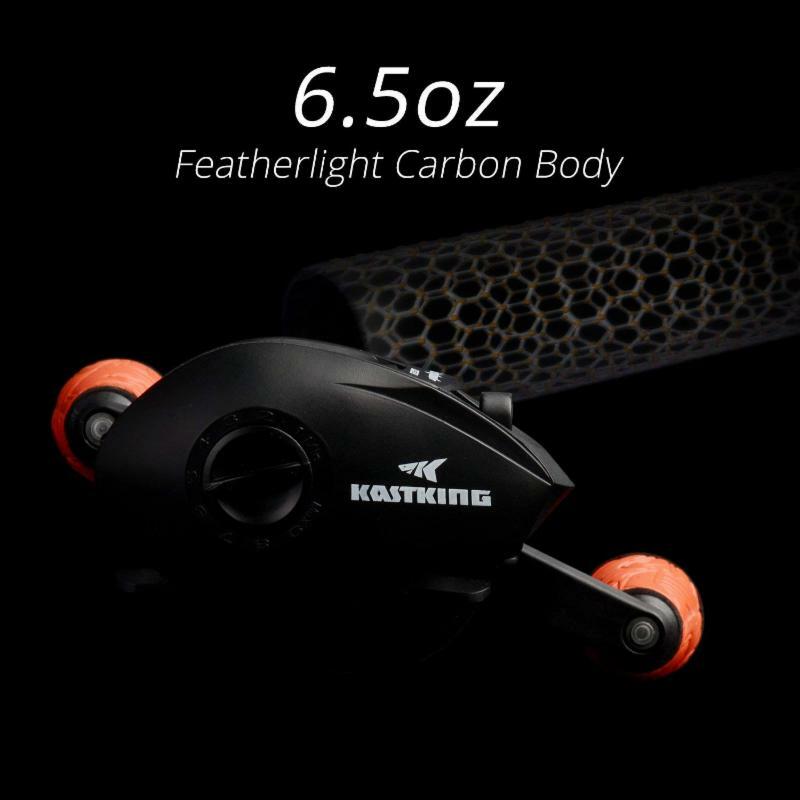 The KastKing Speed Demon Pro will be introduced this week at this Amazon.com link and sell at a discounted online price of $89.98. KastKing offers right and left hand models at the same price and a one-year warranty. KastKing Speed Demon Pro reel was my second bait caster I ever bought (I am an ol’ saltwater spinner guy) and in my opinion it did not live up to the hype nor the price. 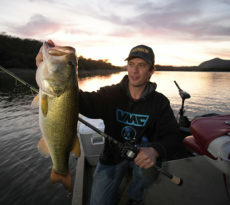 I matched the Speed Demon Pro reel with the Speed Demon Pro Rod (the rod is a keeper) and I put 30 pound braided line. When I first cast the sound off the reel was louder than most reels and retrieval was fast but not smooth. Palming the KastKing Speed Demon Pro reel was not comfortable I even which to my Okuma TCS Rod I was very impressed with long distance casting but still felt large in the hand. I would have ignored all my complicates about the sound while cast and the retrieval but I wish KastKing Speed Demon Pro reel had a lower profile. I returned the reel and bought a Lew’s Tournament MB.